Being a student awaiting your A levels or Intermediate result, you start to ponder over what the future holds for you and whether you should be pursuing education abroad. Not that our beloved country does not boast of some highly desirable and esteemed universities, we cannot help but more than often consider that we should be studying abroad in one of the top-notch universities. There are a plethora of brilliant universities to choose from in the world and a number of disciples to study in the 21st century. Plenty of undergraduate, postgraduate, doctorate degree programs as well as executive education certificate and diploma programs are available worldwide. You can apply online and even take courses online and receive certification from a prestigious university located thousands of miles away. The University of Oxford is one of the oldest universities in the world and the oldest in the English-speaking world. While there are no confirmed sources on the exact date when it was founded, some sources suggest that it was founded as far back as 1906. Comprising over 44 colleges and halls and over 100 libraries; Oxford University hosts over 22,000 students from which over 40% are international students. Majority of the thesis writing services tend to hire academic writers who have studied from Oxford University due to their proficiency in writing and critical thinking. Alumni of the university include renowned and brilliant winners of the Nobel Prize in Chemistry, Physics and Medicine. Notable alumni include Stephen Hawking, Richard Dawkins, Oscar Wile, and even actors namely Hugh Grant and Rosamunde Pike. 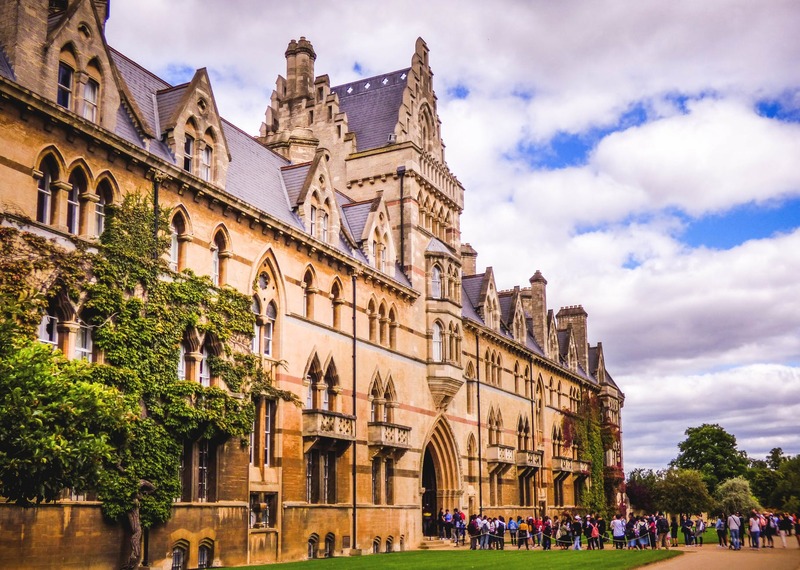 While there are a number of provisions for numerous disciples, Oxford is renowned for its prowess in the sciences and ranks amongst the top universities for education in the sciences. Students can choose from over 350 degree programs. Regarded as one of the most prestigious universities in the world, Harvard is also one of the oldest universities worldwide and is home to the largest academic library in the world. It is situated in Cambridge, Massachusetts and comprises of a 5,000-acre campus houses, 12 degree-granting schools , two theaters and five museums overall. These attributes give Harvard an aura of extreme magnificence and make it an attractive point for a large number of international students. It is also one of the well-known Ivy League Institutions with connects more than 45 Nobel laureates and 48 Pulitzer Prize winners. A number of US Presidents have studied from Harvard and notable alumni include, Mark Zuckerberg; the founder of Facebook, former US President Barack Obama, writer and sportsmen and even American television personality Tyra Banks. Yes, it is true indeed that Tyra Banks also enrolled herself in an executive education training program at the Harvard Business School. The university receives one of the largest financial endowments amongst all universities which make it one of the best universities for financial aid. It has been estimated that over 70% of the students receive financial aid and the process to acquire the financial aid is incredibly easy and achievable. As far as the provision for international student goes, it is provided need-blind for international students! The Massachusetts Institute of Technology (MIT) is an independent and private research university which was established in 1861 in the city of Cambridge, Massachusetts. The alumni of MIT is associated to have created more than $1.9 trillion revenue comprising of jobs and companies together. A number of scientific and technological discoveries and advancements have been made all thanks to the top-notch research facilities available in MIT and a lot of technological worldwide progress can be accredited to this very institute. Around one-third of the whole of the student population of MIT consists of international students and it is also estimated that around more than 60% of the undergraduate students receive financial aid without much hurdles. MIT is also distributed into five different schools each focused on different disciples including architecture and planning, engineering, humanities, management sciences and arts and social sciences. Campus facilities include healthcare and insurance services with a vibrant environment whereby students can engage in healthy community bases activities while studying. Being an Ivy League school, many students consider Columbia University in New York to be highly difficult to get into, but the story is entirely different. Columbia University has over 40% international students in its graduate and professional degree programs and promises to meet 100% of the need based financial aid for international students. It comprises of the fourth largest population of international students in the whole of the United States as they make sure that if the student is able to gain admission into the university, they should afford to be there as well! Dr. Sehrish Bukhari is a PhD in Environmental Law after having studied Environmental Engineering till her Master’s program. She has studied from renowned universities from London and the States and works as a Consultant for a Law Firm battling environmental lawsuits. She is also working as a visiting faculty for numerous prestigious institutes in Pakistan as well.